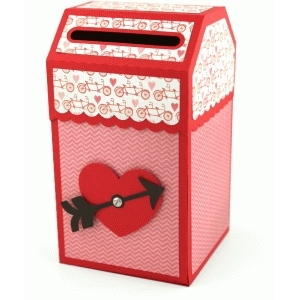 This adorable Valentine's box measures 8x4.25x4.25 when complete. It's 8.5x11 compatible. Visit www.youtube.com/loriwhitlock for an assembly tutorial.